Tom Brady VS Patrick Mahomes is going to be one heck of a battle and I’m predicting that Arrowhead Stadium will break their own sound record. Let’s get into the dirt and see how these two quarterbacks compare against each other. Will it be the young gun or the wise veteran that has the upper hand. A few things will be compared for these QBs to see who comes out on top. Tom Brady is the greatest QB to ever play football and he has really hasn’t been known to have the most astonishing stats but he knows how to win. Patrick Mahomes on the other hand is a stats machine and wins games by just overwhelming the opponents defense. Brady Has a passer rating of 97.7 in the regular season but this post season he is much better at 106.5. 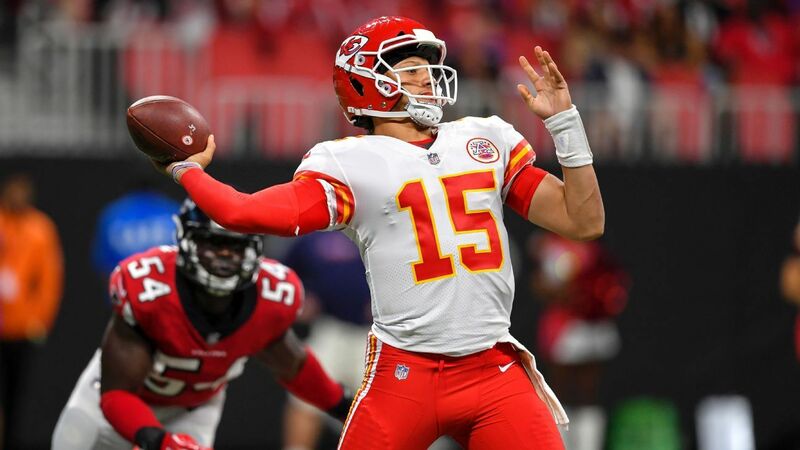 Mahomes passer rating during the regular season was 113.8 and slumped in the playoffs to 85.2. The difference in playoff football is astronomically different than the regular season so since they both differ so much I would give Brady a slight end in this category. Percentages is my next big thing that will determine who will make a difference and the best QBs are good in most of these categories. Patrick Mahomes has a 4.3 sack percentage and Tom Brady was sitting at 3.6. Mahomes TD% is at 8.6 and Brady is at 5.1 which is much pretty low since Trubisky was higher at 5.5. Int% is close with Mahomes 2.1 and Brady 1.9 which is crazy considering Mahomes threw for 50 TDs. Completions percentage is what a lot of people hold as the best stat to have and with both of these players coming in close with Mahomes 66% and Brady 65.8. Besides the yards and TDs these two QBs are almost dead even but Patrick Mahomes gets this round. Overall both Tom Brady and Patrick Mahomes are pretty close but I would give Tom Brady the edge in this match up. Tom Brady is a cyborg in the playoffs and the one playoff game that we can look at for Patrick Mahomes he didn’t throw for a touchdown and his completion percentage against the 16thpassing ranked Colts was at 65.9 percent. Tom Brady played the 9thbest passing defense which was the L.A. Chargers and he threw for 1 TD and had completion percentage of 77.3 percent. Either way this should be one marvelous game to watch on that cold gridiron because nothing is better than NFL playoff football on a Sunday night.